The city of Norfolk is fixing to one-up Kearney on the solar energy front, and we wish Norfolkans the best of luck. Earlier this week, the northeast Nebraska city entered an agreement with Nebraska Public Power District on a venture to build a sizable solar array and link it to an energy storage system. It doesn’t appear as if Norfolk’s array will rival Kearney’s in size, but the size of the system isn’t nearly as important as its ability to successfully plow new ground in the development of green energy. Continue reading here. Photo: Kearney’s $11 million, 53-acre solar farm, currently the largest in the state. Lincoln, Nebraska-based GRNE Solar is seeking special use permit approval from Yorkville to install and operate a solar farm consisting of about 6,400 solar modules at the southeast corner of John Street and Beecher Road west of the Kendall County Government campus in Yorkville. Ohio’s Largest Solar Farm Development Announced, News Release, Natural Resources Defense Council. 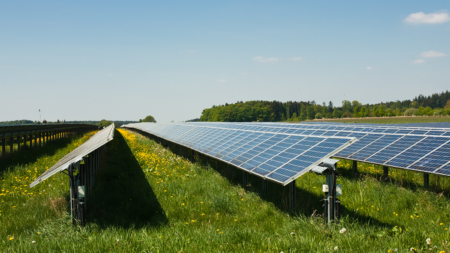 Today’s filing includes plans for developing a combined 400MW of solar, split between two farms that were selected through a competitive bid process. Both will be located in Highland county. The filing at the Public Utilities Commission of Ohio is expected to be followed with other projects that would make up the 900MW of renewable energy announced in Ohio last week. 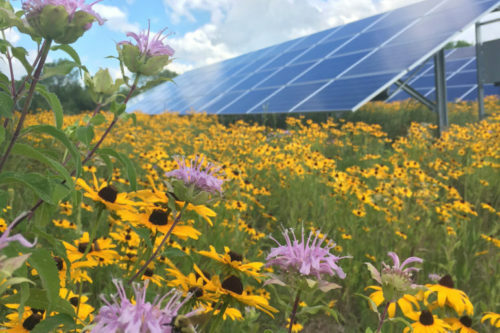 “Rochester is uniquely poised because it’s a municipal utility company,” said Rick Morris, Rochester clean energy organizer for Sierra Club’s North Star Chapter. He noted Minneapolis has a plan to convert to 100 percent renewable electricity citywide by 2030 and St. Louis Park has made a 100 percent renewable commitment as well. “Not only is it possible, but our neighbors are already doing it,” Morris said. Illinois’ goal is to produce 25 percent of its electricity from renewable resources by 2025. There are multiple state and federal incentives to help home and business owners recoup portions of the cost of an installation. The state’s Solar Renewable Energy Credits program grants one sellable credit to homeowners for each megawatt hour of electricity their solar system produces. One credit from a small-scale system sold for approximately $180 during spring 2017. A small-scale seven-kilowatt system could generate about 8,000 kilowatt-hours each year, which means an Illinois homeowner could receive $1,440 per year in additional income, according to energysage.com. This entry was posted in Community-Scale Solar, Energy Storage, Nebraska / Midwest News and tagged 100% renewable energy news, Midwest renewable energy development, Nebraska Public Power District (NPPD), solar energy development in Nebraska, The City of Kearney, The City of Norfolk on September 28, 2018 by Helen Deffenbacher.